Uber's self-driving car goes for a spin. In a very short space of time, self-driving cars seem to have gone from far-off sci-fi concepts to actual vehicles driving around our highways and byways. Uber is the latest company to throw its hat into the ring. The firm has recently opened an Advanced Technologies Centre at Carnegie Mellon University, so Pittsburgh residents can expect to see a lot more of these automobiles cruising around town in the near future. Like Google's cars, Uber's research vehicles have a bank of scanners and cameras on top of the roof to spot obstacles, innocent bystanders and curves in the road. We don't know much about Uber's plans but thanks to the Pittsburgh Business Times we know that the future of self-driving taxis just moved a step closer. "This vehicle is part of our early research efforts regarding mapping, safety and autonomy systems," Uber spokeswoman Trina Smith said in an email to the publication. The end goal is obvious: one day you'll be able to tap on your phone and a robot driver will come and take you to the airport or get you home after a heavy night out. With no need to make small talk it could be a win-win move for everyone (except current Uber drivers of course). 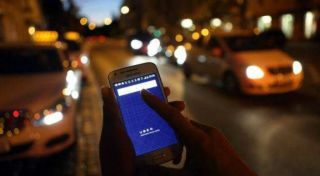 Uber has attracted criticism for apparently poaching staff working on robotics at Carnegie Mellon University, but the sharing economy outfit and CMU are describing it as a "partnership" instead.